Yesterday, I received my first official press invite from adidas. Yes. Me. Press invite. I’m part of the press now. I thought I had a bigger chance of getting an invite for Ferdinand Marcos’s private burial than get anything close to a press invite! In a nutshell, Harden Vol. 1 is arguably the cream of the crop for adidas Basketball. It’s hard to compare each and every selection from their basketball line. The Lillard 2 offers the best value for money. The DRose 7 provides great traction and support for guards. And the Crazy Explosive is the best all-around shoe that they can offer in the market. Somehow, the Harden Vol. 1 managed to combine everything that has made those shoes unique and made itself, well, unique. The toe shroud is an all-black suede that is somewhat independent from the rest of the upper, which should provide more range of motion for your foot (giving you enough opportunities to create) without the restriction of having one upper material. The traction pattern was designed specifically for Harden’s unique game and sudden change of pace when attacking (doesn’t apply when he’s defending). Full-length Boost wrapped in TPU provides maximum comfort and energy return, and accents of gold throughout the shoe (from the logo to the lace tips) help the Harden Vol. 1 stand out on the court. The limited edition black/gold colorway will only be available in the Philippines for the whole SEA territory, making it a collector’s item or a reseller’s dream. 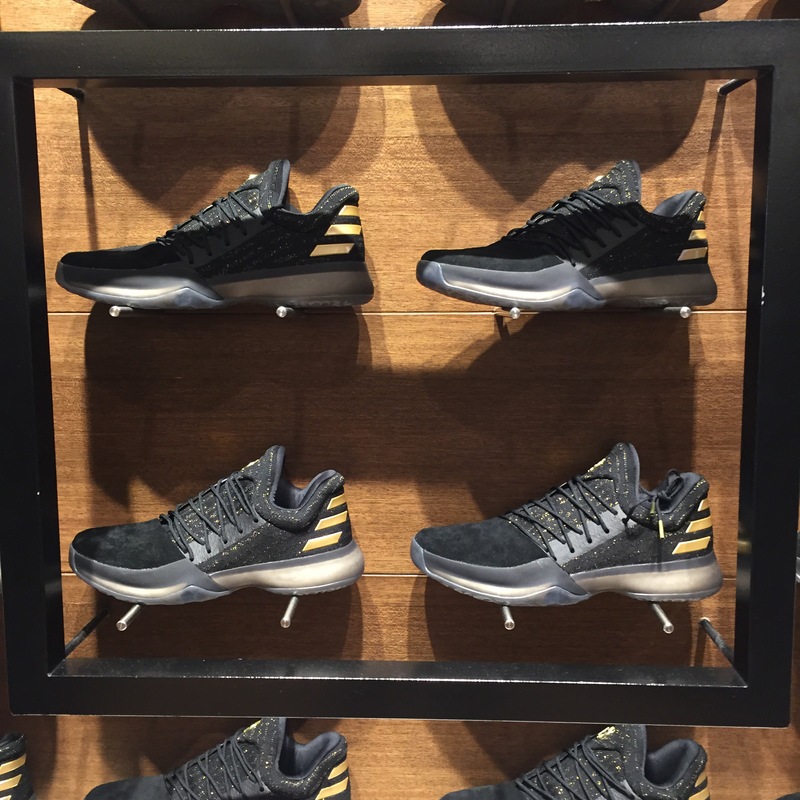 adidas has stated that every colorway of the Harden Vol. 1 will represent a different story of the bearded one, a unique way of pushing a product from their biggest star. With the introduction of the first colorway, we remember the story of a young kid from California crazy enough to make a promise to his mother. “Could u wake me up at 7:00 and could u leave me a couple of dollars. That was what James Harden wrote on a piece of paper at the age of 14. I understand he wanted a couple dollars and imagined himself becoming a big star someday, but who loves to wake up at 7 in the morning when you’re a 14-year old? Little Harden must be out of his mind. After a successful high school career in which he lead Artesia to a 92–8 record and a state title, Harden would go on to play for the Arizona Sun Devils. Making his arrival known at the collegiate level, James would add new dimensions to his game as he became one of the more steady and consistent scoring threat in his class. Despite not having a great size for his position and below-average athleticism, Harden used his craftiness and deceptive moves to get past by his defenders, virtually becoming “unguardable” in isolations. James would then go on to declare for the 2009 NBA draft (a stacked class that includes Blake Griffin, Stephen Curry, and the legendary Hasheem Thabeet) and was selected 3rd overall by the OKC Thunder. Along with Russell Westbrook (loyal), Kevin Durant (not loyal) and Serge Ibaka (half and half), Harden was part of OKC’s rise in the NBA and came close to winning an NBA trophy in 2012 against the LeBron James-led Heatles. With not enough cap to resign Harden to a max extension, OKC had to trade him. In Houston, James was given the chance to shine. And boy he did. The Rockets became a perennial contender in the Western Conference as Harden was able to show what he can do as the leader of a team. During the ‘14–15 season, the Houston Rockets were missing most of their key players due to injuries but Harden still managed to weather the storm (OKC pun intended) and lead the Rockets to a division title and the 2nd best record in the conference. After an MVP-worthy season, adidas signed James Harden to a 13-year, $200 million contract, joining a list of marquee players that include Damian Lillard, Derrick Rose, and Andrew Wiggins (who all have their own signature lines). Betting everything on James was a gamble that adidas had to take, finally having a superstar to deal with Nike’s LeBron and Under Armour’s Curry. 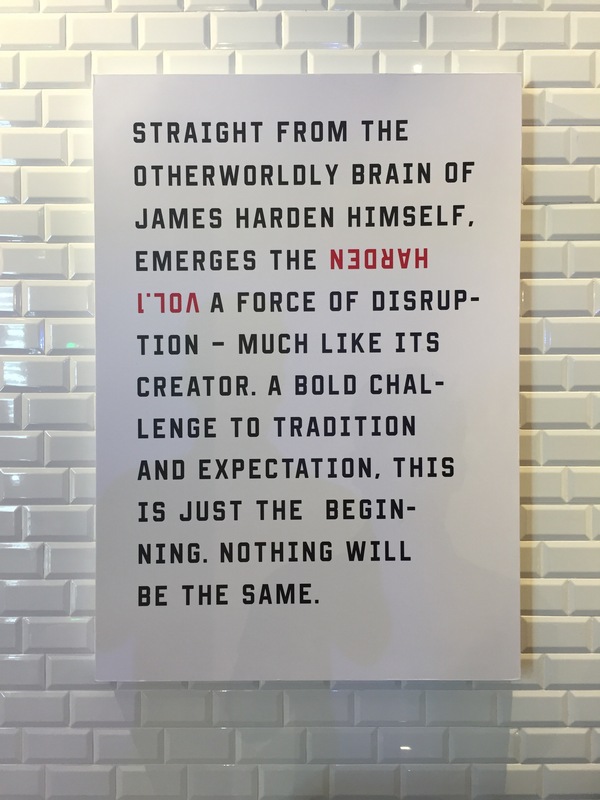 It doesn’t hurt as well that James is playing for the Rockets, a fan favorite in mainland China (thanks to Yao Ming) and a major market in the basketball industry. 13 years since making a promise to his mother, James Harden is living the dream of being a superstar. Not only is he 3rd in the league in scoring and 1st in assists, but he has also lead the Rockets to the 5th best record in the NBA. Could an MVP award finally be on its way for the bearded one? It’s very much possible. 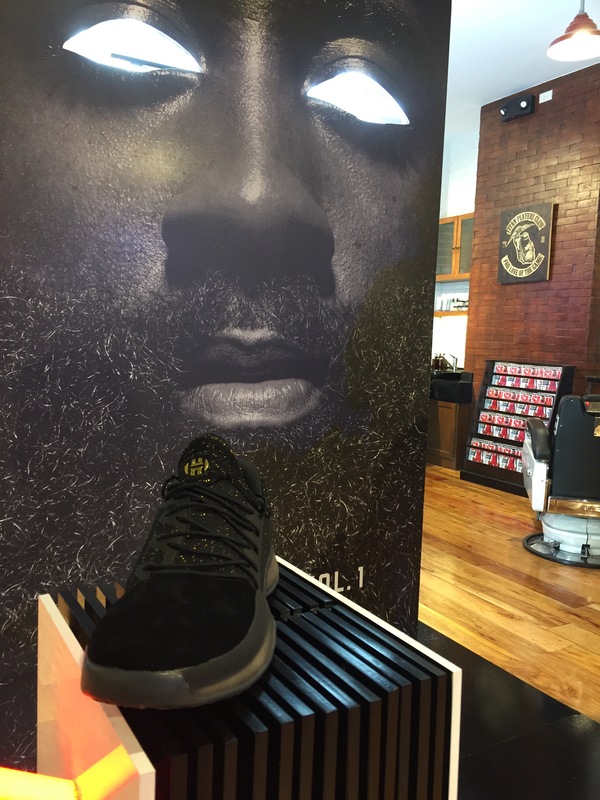 Could the Harden Vol. 1 live up to its hype of changing the game? Also very much possible. It’s amazing what a couple of dollars and waking up at 7AM can do after all. PS: I’d like to thank adidas for inviting me to the launch of the Harden Vol. 1, where I, unknowingly, wore Nikes. Rest assured that if Nike invites me for a VIP launch soon, I will be wearing adidas. This entry was posted in Basketball, Kicks, NBA. Bookmark the permalink. “Doesn’t apply when he’s defending” hahaha! Good insight on the show and the beard! Looking forward to more articles!